Automotive and engineering parts maker Sundram Fastners Ltd said on Thursday it has sold its German subsidiary and created a new unit in the UK as part of a restructuring of its international operations. The new company, Sundram International Ltd, will be used to acquire technology companies abroad as and when the opportunity arises, Sundram Fastners said in a statement. It didn’t elaborate. It said that its Chinese arm Sundram Fastners (Zhejiang) Ltd and UK-based Cramlington Precision Forge Ltd have now become subsidiaries of Sundram International. Both these companies are profitable and have been paying dividends to the parent company, it added. The auto parts maker said it sold the German unit, Peiner Umformtechnik, and its affiliates to a German firm for one euro. Peiner had been impacted adversely after the 2008 recession. It posted a net loss of Rs 23.81 crore for the year ended December 31, 2014 and had negative net worth of Rs 49 crore. Peiner makes bolts, nuts and other fastening systems for steel and bridge construction and fasteners for wind turbines and components for auto makers. 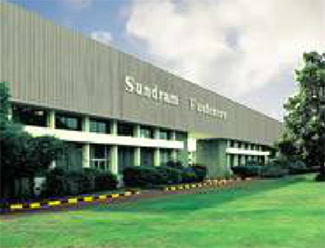 The sale of the German unit will help strengthen the balance sheet of Sundram Fastners, the Indian company said. Founded in 1966, Sundram is part of the TVS group and has eight factories in India and subsidiaries in the UK, China and Malaysia.